If you are passionate about serving others and have a strong work ethic, Frailey Insurance and Financial Services is the place for you. We are always looking for the best candidates who can bring a fresh perspective and unique skill sets to grow and diversify our local, family owned company. Click below to begin the application process for our open positions, and if you have any questions, please feel free to reach out to us. “I enjoy servicing our clients. As a Member Servicing Advocate, I have personal contact with people. I get to know the happy times such as a wedding, being a first-home buyer, a teenage driver or a birthday. People like to tell me their stories and I like to listen. Knowing that I have helped protect them makes me feel I’m accomplishing the job,” – Josephine F.
Join our established agency focused on quality growth with National carriers and great earnings potential. The successful candidate will earn a license to sell property & casualty insurance in Pennsylvania and be an ambitious self-starter with sales ability and great interpersonal skills. If you have sales experience, drive, ambition and want to grow your earnings with a generous base salary, commissions and bonus opportunities submit your resume and references. Join our established agency focused on quality growth with National carriers and great earnings potential. The successful candidate will be licensed to sell property & casualty insurance in Pennsylvania and be an ambitious self-starter with proven sales ability. If you have a minimum of 2 years of sales experience and want to grow your earnings with a generous base salary, commissions and bonus opportunities submit your resume and references. Insurance Growth Opportunity in northeastern Pennsylvania. Join an established agency focused on quality growth with a National carrier and great earnings potential. The successful candidate will hold a property & casualty insurance license in Pennsylvania, be focused on and be an ambitious self starter with customer service and sales ability. If you have a minimum of 2 years of experience working in a progressive office environment, providing customer service that exceeds expectations and you want to grow your earnings with a generous base salary and bonus opportunity submit your resume and references. 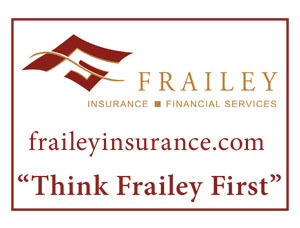 Frailey Insurance and Financial Services is a high quality established, 3rd Generation, family owned business operating in the Stroudsburg Pennsylvania area. Priorities include developing and investing in quality employees and providing them with growth and financial opportunities as they work to service and develop clients and grow the business. The objective is to provide optimal financial security to customers, developing strong long term relationships that have a positive impact on their lives.